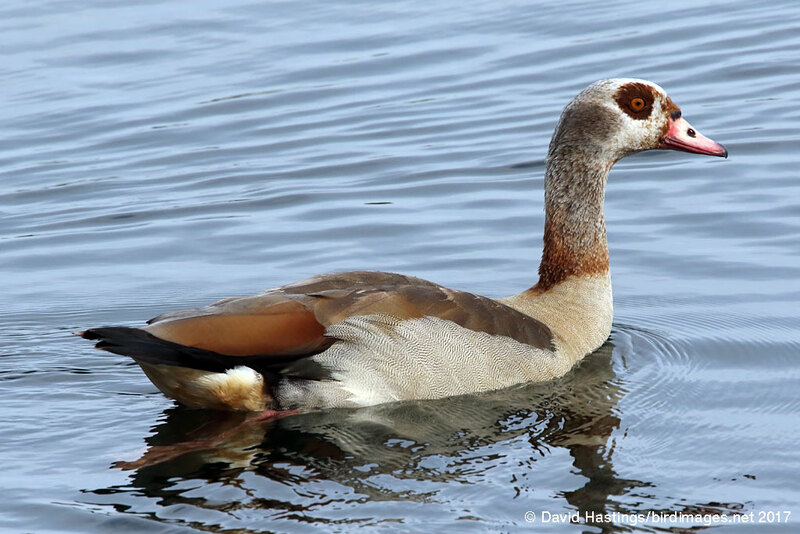 Egyptian Goose (Alopochen aegyptiacus). Adult. Taken at Farmoor, Oxon., on August 1st 2017. Adult. Taken at Farmoor, Oxon., on August 1st 2017. 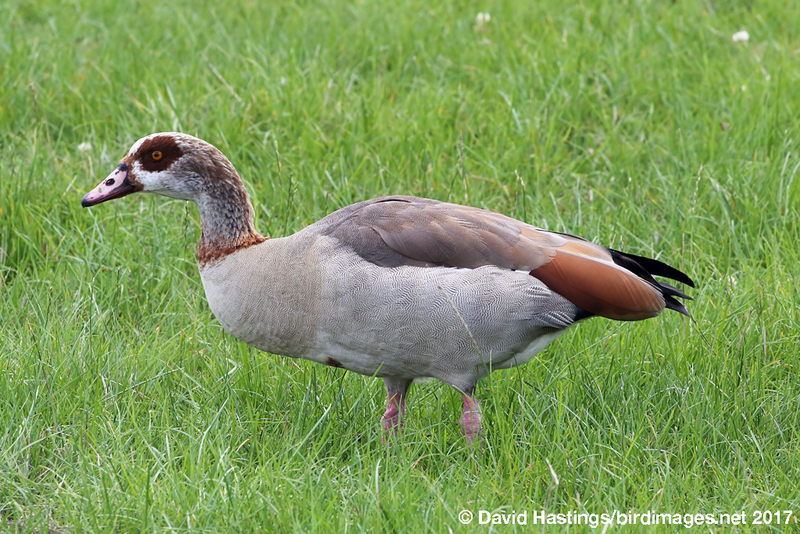 Egyptian Goose (Alopochen aegyptiacus). Taken at Farmoor, Oxon., on August 28th 2017. Taken at Farmoor, Oxon., on August 28th 2017. Related to the Shelduck, this pale brown and grey goose has distinctive dark brown eye-patches and contrasting white wing patches in flight. It was introduced as an ornamental wildfowl species in the 19th century and has escaped into the wild, now successfully breeding in a feral state. It is mostly found in eastern England. There are around 700 breeding pairs here. It can also be found in Holland and France. It is often found in parkland with rivers, lakes or marshes. Flooded gravel pits are also favoured. This species doesn't have a status on the UK list as it is an introduced species.